"Michael Hunter stared at the hand-lettered sign on the Gull Motel office, expelled a breath, and raked his fingers through his hair. Not the welcome he'd been expecting after a mind-rumbling thirty-six-hour cross-country drive to the Oregon coast. And where was he supposed to stay for the next three weeks, until the place opened again?" Although she loved writing, it was rare for Benilde Little to sit down and write without fighting feelings of depression. 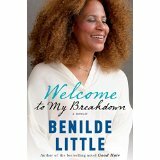 In Welcome To My Breakdown, she writes about the early years when she was bullied at school. Then she becomes one of the many grown-up daughters who choose to care for their parents as they age. She loves her mother deeply. She cares for her mother as her heart condition worsens. At the same time, she cares for Ford and Baldwin, her children, and husband. Through all of her pain, she never gives up writing. She hangs in there and writes and publishes quite a few novels. Hard trials that come our way build us up. They don't tear us down. In Stronger by Clayton King, there are traits of character listed. We become more vulnerable, humble and strong and really give our hearts to worship during struggles in our lives. The author, Clayton King, after thirty years of his life had passed, and during one of the saddest moments of his life, the death of his mother became a 'new' man. It's deeply touching to read about the author's parents, their illnesses and other problems. His personal experiences made me look at situations I had gone through in my own life. His journal entries are also an important part of the book. These entries are at the very beginning of the book. Here is one. "I can grow bitter or I can become better." 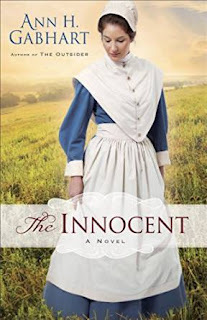 Carlyn Kearney is a woman who must remake herself in the Christian novel, The Innocent by Ann H. Gabhart. This because her husband, Ambrose, is a missing soldier. Her only companion is her dog, Asher. When she is evicted from her home by Curt Whitlow, she moves into the Shaker community. I felt very sorry for Carlyn. It's never easy for a woman to try and make a new life anywhere. There are new friends to meet. These friends are strange to her because she doesn't understand their way of life. The Shakers don't believe people should have pets. So, Carlyn has to give Asher away. Reading about a woman who had to give up so much really upset me. Like in real life, one trial led to another trail. She had to totally lean on God. I grew tired of reading about Shakers. It almost made me not like this Christian Fiction novel. It seemed more like a novel about this religious sect than a murder mystery. "It had been the first day since Jason's advance that it was remotely easy to move about the streets again, but with all the action now focused in the city's center--and Menelaus and his party locked down in the Akra--there was a strange feeling of freedom in the southern quarter." The Grecian empire's ruler, Antiochus, has come to change the life of people in Jerusalem. This situation causes discord between families and friends. There are Honiah, Eleazar, Jason and Meir on Judah's side and on Greece's side there is, Sarpedon and Appollonios. At first, their leader, Antiochus, used subtle brainwashing of the masses. Finally, an all out rebellion happens with the Maccabees and Greece. One goal is to make Judah give up the laws of life taught in the Torah. For example, they should no longer worship one God but worship idols like Zeus Olympios. It is highly wondrous to believe that Christ lives in us. This is the journey Eric B. Johnson takes us on in Christ In You. In nine different chapters, he shows different ways Christ shines His Light within us. One way is through faith to see His Kingdom beginning now while still believing the fullness of the Kingdom will come at a future time. If faith is used today, there is the possibility to see that miracles still happen today. No miracle look the same in any one person's life. The believer must hold on to whatever way Christ chooses to work in his or her life. I see it as asking God for the daily strength to help us accept whatever way He chooses to answer our prayers. 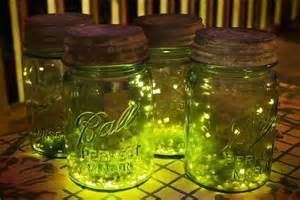 "She hadn't heard from Ambrose since Vicksburg in June 1863. Over two years ago. But she had no proof he was dead. The army said missing. Missing wasn't dead. Ambrose might yet find his way home."